Yes! 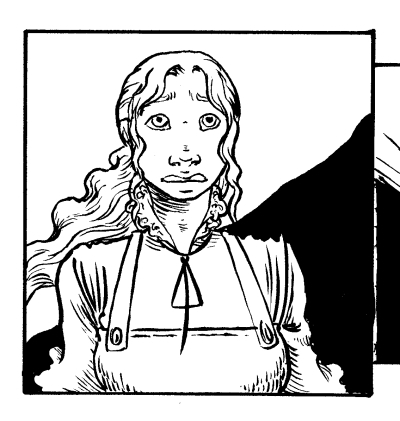 I have done it - I've finished inking Fathoms III, and am basking in the glorious, glorious light at the end of the tunnel! All I've got left on this chapter now is to clean up some inking-mistakes, letter all the dialogue and do the cover/title page! I have to say, in my own humble creator opinion, this chapter is going to be a lot better than issues 1 and 2. 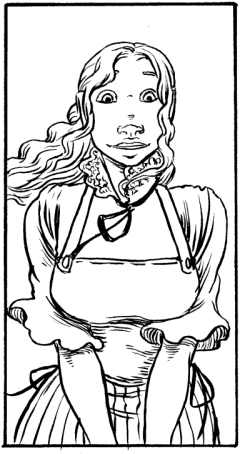 Not only is it going to look better - I've levelled up in crosshatching, making me like a Level 4 Inking Mage at this point - but it's also going to be better because stuff is happening in it, unlike in issue 2, in which absolutely nothing happened except for a flashback. It's going to introduce some new characters! Like Khazri. Who can high-five you, flip you the bird and steal your wallet - and still have one hand left over to scratch his nose. Also, Gilavar - Transportation, Beast of Burden and Totally Awesome Flying Whale Pal. ... There's an awful lot of whales in this chapter. And clouds. ... that is; worried, scared and not entirely sure she trusts these weirdoes and their flying acquatic mammals..
... and sometimes looking like she might actually be having a good time. Also whales. Did I mention whales? Because whoo, boy, did I ever crosshatch a lot of whales in this chapter. They might be outnumbered in appearance by the clouds, but if so it's by a very slim margin. Still kind of proud of myself that I stuck with it and didn't just throw up my hands somewhere mid-chapter and go "AAAAGH! Whatever - this comic is going to be about talking heads in a white room with no windows!". I mean, I even drew a cityscape on one of the later pages. 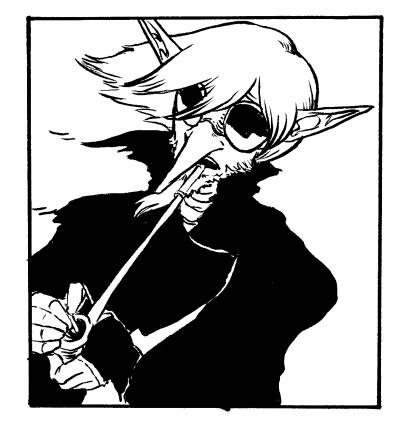 The final plan is, right now, to release parts III and IV as separate issues, and then take a bit of a break and trying to finish the whole thing - which will then be collected in one complete volume, with extras and bonus art and all sorts of good stuff. I haven't got any ETA date on the complete volume, but I'm hoping to have part IV finished for Stockholm's International Comics Festival in April 2013. If you want to get in on this whole "fanzine"-thing, you can check out the previews of the previous two issues here (along with all sorts of concept art). They're both available for sale for the cheap, cheap price of 35 SEK/4.76 USD (with reservations for changes in currency-value) each, plus shipping to wherever you are in the world. If you want one, or possibly two, just contact me with your address and name, and I'll get back to you with my paypal info and total price.